The State of Florida has the highest number of traffic fatalities in the United States, behind California and Texas. Of those three states however, Florida has the highest ratio of fatal accidents per citizen, according to the United States Census Bureau, 2012 Statistical Abstract. 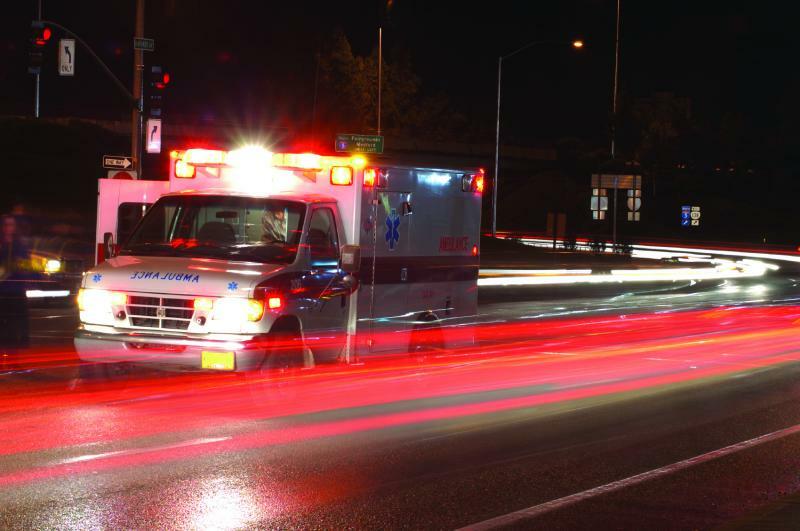 On average, there are over 2,800 fatal accidents occurring on the roads of Florida, and by the numbers, the most dangerous roads are in South Florida, specifically in Miami-Dade, Broward, Palm Beach, and Monroe County. Between these four counties, the number of fatalities caused by traffic accidents represents 25% of all fatalities in the entire State of Florida. Statistics are available here. Rafael Ferrer Rodriguez was traveling southbound on U.S, 27, just north of Griffin Road, when he began to worry that his truck may have a flat tire. Rodriguez slowed down, moved his truck off the shoulder of the road, and stopped the large vehicle short of the grassy slope, with about half of the truck still on the paved roadway. He got out of the truck’s cabin and walked to the back of his truck to put a warning triangle on the road in order to alert the oncoming traffic of his presence. All of a sudden, before Rodriguez could place the emergency signal, Jose Soto Perez, who was also driving a large truck and traveling southbound at the time, struck the left side of Rodriguez’s parked trailer, causing both trucks to erupt in flames on impact. 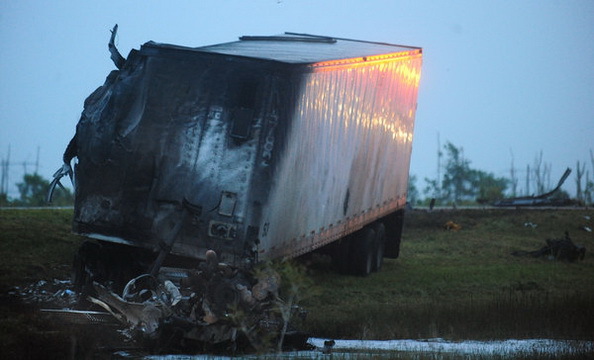 Rodriguez was hit by his own trailer but only sustained minor injuries, while Perez was able to escape from his truck’s destroyed cab before the flames could reach him. Perez’s dog, who was in the driver’s cab when the accident took place, was also able to escape with his owner, but, disoriented, the dog was struck and killed by another vehicle who was traveling on U.S. 27. While the Broward Sheriff’s Office has yet to issue a citation for this incident, most of the responsibility for causing this accident rests on Rodriguez’s actions when he failed to park his truck completely off the roadway, especially in the middle of the night. it is unclear whether Rodriguez turned on his flashing lights before he stepped out of the truck’s cab. Tagged: "Broward Sheriff Fire Rescue", "Flat Tire", "Florida Fatal Crashes", "Jose Soto Perez", "Rafael Ferrer Rodriguez", "Tire Blow-Out", "Tractor Trailer Accident" and "Warning Triangle"